It’s no seven Robin Hoods in development at once, but Hollywood is piling on the horror anthology series like bloodthirsty creatures on a fresh corpse. It seems as though only Tales From The Crypt remains in its grave at this point: Jordan Peele is developing a new iteration of The Twilight Zone for CBS, Guillermo del Toro is developing Guillermo del Toro Presents 10 After Midnight at Netflix, Hulu has a crazy idea for an “anthology series” that’s made up of feature-length films, and The CW has two of the things in development, the female-led Black Rose Anthology and a revival of George Romero’s mid-’80s series Tales From The Darkside led by novelist Joe Hill. Put a pin in that last one, because earlier today Entertainment Weekly announced a revival of Creepshow, the series of mid-’80s anthology films masterminded by Romero and Hill’s dad Stephen King. The new Creepshow will take the form of a TV series, and will be led by Greg Nicotero, the legendary makeup effects artist and director of more than two dozen episodes of AMC’s The Walking Dead. Nicotero will executive produce the entire series and supervise its effects through his company KNB EFX Group, and is attached to direct the first episode. The rest of the episodes will be parceled out to different filmmakers. Nicotero, who met his mentor Tom Savini on the set of the original Creepshow, says in a statement, “Creepshow is a project very close to my heart! It is one of those titles that embraces the true spirit of horror… thrills and chills celebrated in one of its truest art forms, the comic book come to life!” Heavily influenced by the cartoonish grotesqueries and ironic twists of the EC Comics that intrigued kids and offended parents back in the 1950s, the first Creepshow debuted in theaters in 1982, and features not only Stephen King being turned into a plant, but Leslie Nielsen burying Ted Danson in sand up to his neck. It’s pretty great. 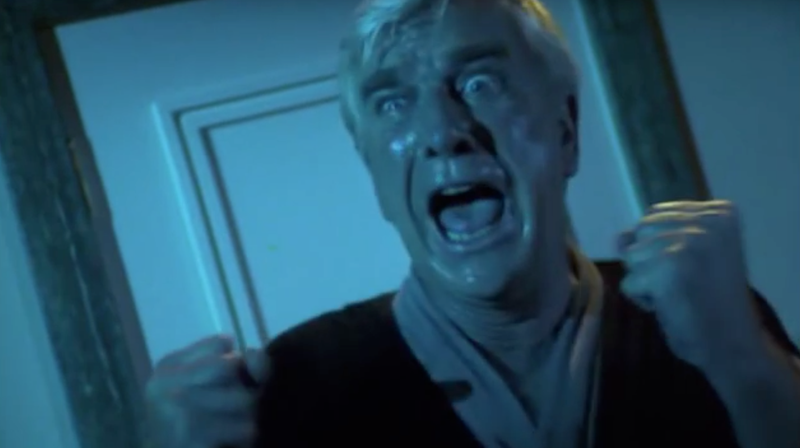 Shudder will debut the new Creepshow sometime next year; in the meantime, the horror-specific streaming service has every episode of the ‘80s Tales From The Darkside available to stream.